PT. Kievit Indonesia had assigned PT. 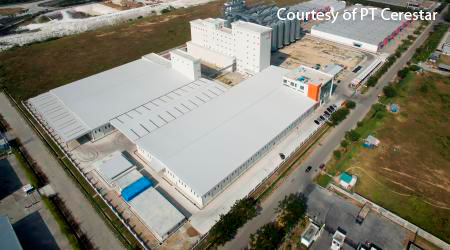 Decorient Indonesia to undertake a Design and Construct works of the Food Ingredient Processing Plan Stage 2 location in Salatiga, Central Java. To assist in the engineering design aspects, PT. Decorient Indonesia assigned BITA to prepare a complete construction documentation for Basic and Detail Engineering stages. The scope of services carried out by BITA including architecture design, structure, mechanical/plumbing and electrical design.